Rice oil is light and delicately flavoured oil suitable for frying and backing due to the high smoke point (250°C). It contains omega 3 &amp; 6. 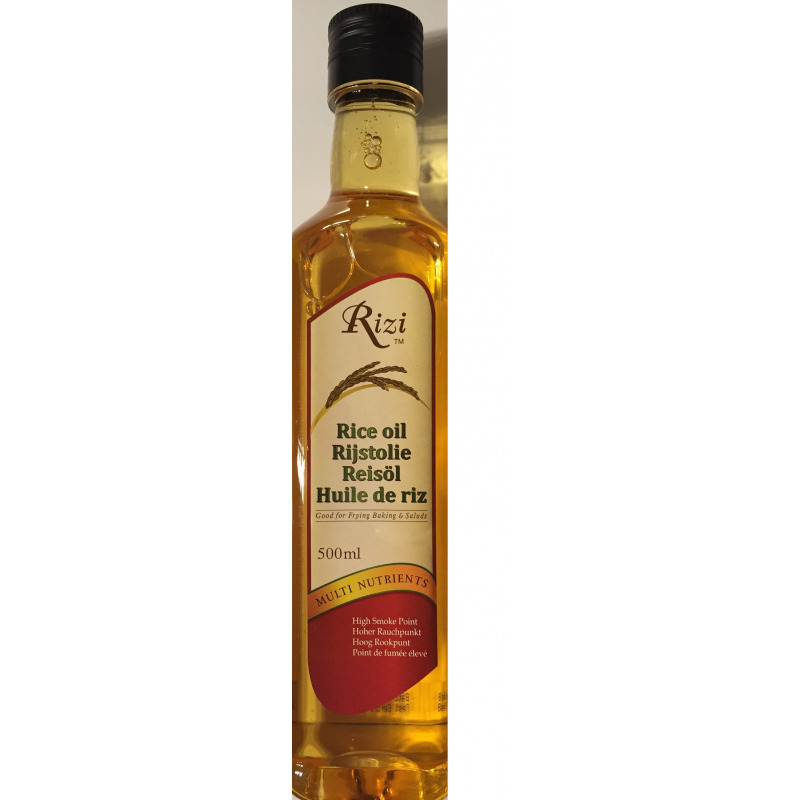 Rice oil contains the goodness of rice bran. 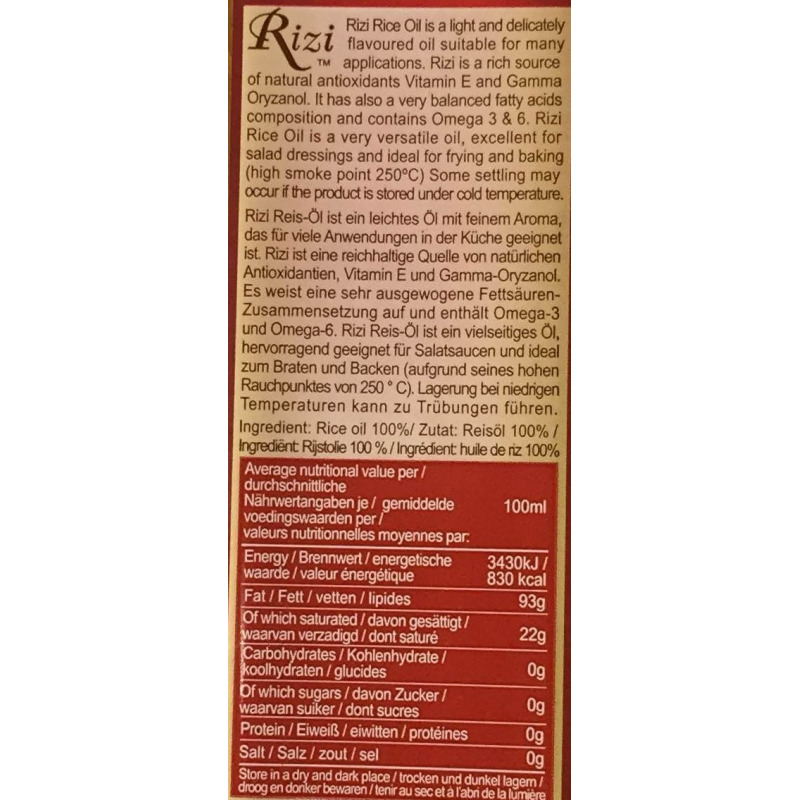 As it is extracted from bran it is naturally fortified with Vitamin E, essential fatty acids, and several minerals. It can be used to sauté vegetables and stir fry them ensuring that the nutrients and flavour of the vegetables are retained. As it has a mild aroma and flavour it can be added to salads as well. Rice oil is light and delicately flavoured oil suitable for frying and backing due to the high smoke point (250°C). It contains omega 3 & 6. 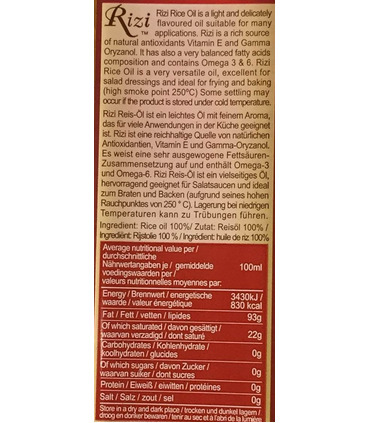 Rice oil contains the goodness of rice bran. As it is extracted from bran it is naturally fortified with Vitamin E, essential fatty acids, and several minerals. It can be used to sauté vegetables and stir fry them ensuring that the nutrients and flavour of the vegetables are retained. As it has a mild aroma and flavour it can be added to salads as well.